Today I’m bringing you polish #3 from my Shimmer Polish Collab! I am very excited to present Jasmine to you, she is gorgeous! We’re talking about a mix of Aquamarine, sea foam green, light blue green, red, orange and gold glitter varied in shapes and sizes (squares, circles, hex, and dot). That results in the most beautiful aquamarine polish ever! Let me first show you a picture of the bottle and one, two and three coats over a swatch stick. 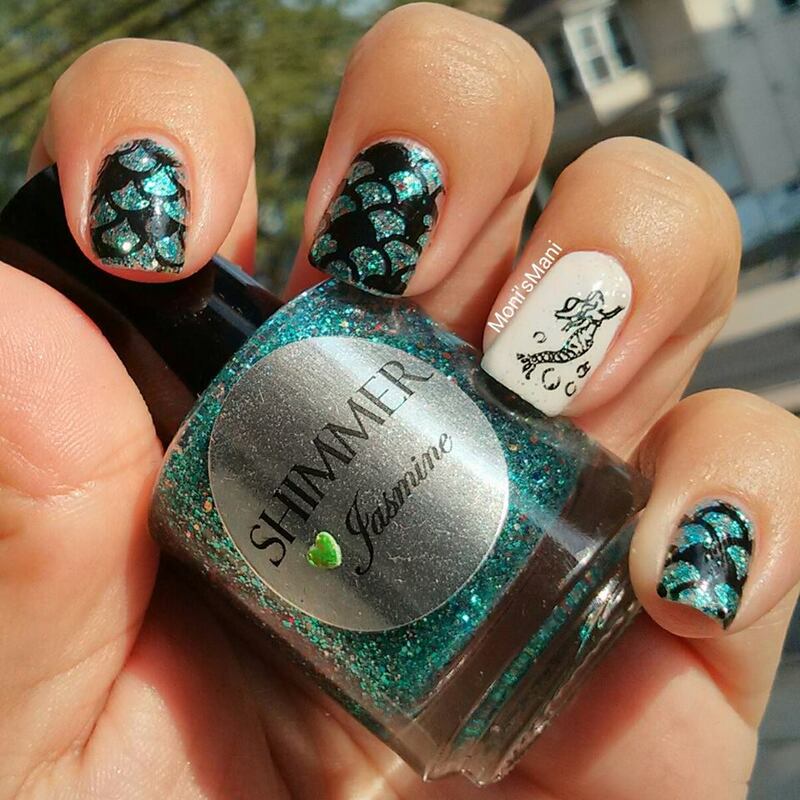 The minute I saw it I knew that I had finally found the Perfect polish for the mermaid mani I had been dying to do! Look at it before I stamped. 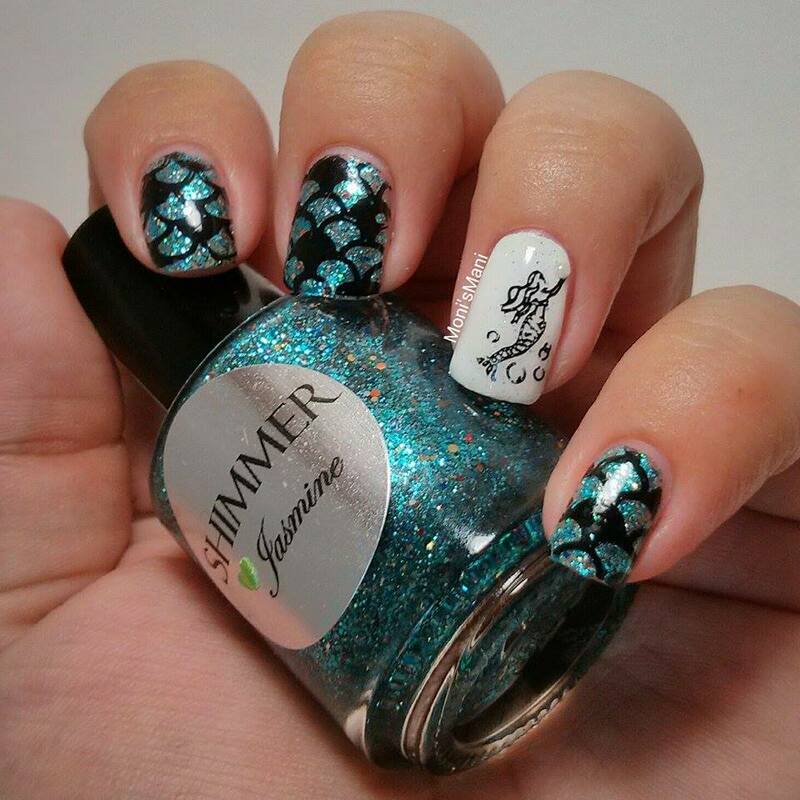 And here is the finished mani, isn’t it the perfect mermaid tail?? I loved it!! 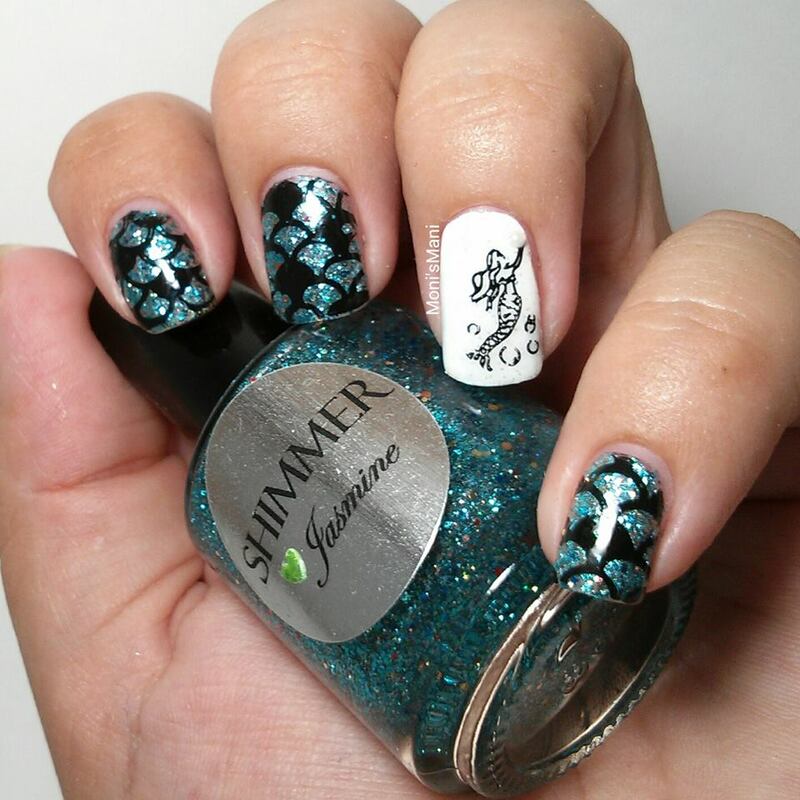 I was a little disappointed by the accent finger because the pearl that the mermaid is holding is hardly visible.. but I died over the tail!! Hope you like it as much as I did! Application is perfect and well, removal is as it’s to be expected for a glitter. But like I said before, they are worth it!